Yahaya Mwayipopa lost to Felix Mwamaso in an eight-round non-title middleweight fight which took place in Mzuzu on Sunday. 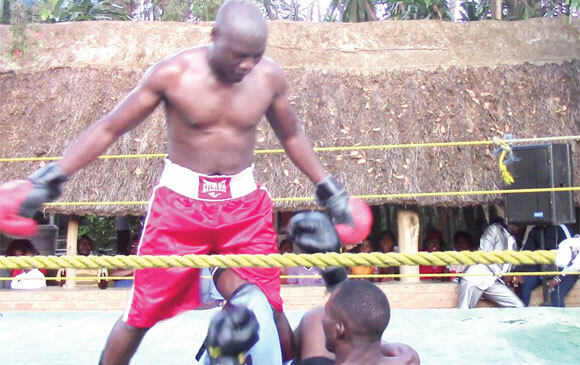 Boxing enthusiasts from the Northern Region city and surrounding areas thronged Obrigado Leisure Park where they were treated to a fight which was characterised by powerful punches from both fighters. Many fans did not give Mwayipopa a chance to last beyond five rounds but he soldiered on against the highly-rated opponent. Eventually, three judges scored 79-74, 79-75 and 80-75 in Mwamaso’s favour. After the bout, Mwamaso saluted his opponent for lasting the distance. “The guy is strong. I thought I would knock him out by the fifth round. But he has given me nice preparations for my forthcoming bout in Lilongwe,” Mwamaso said. Mwayipopa described Mwamaso as one of the top boxers in the country. “He has won many belts and competed in many international bouts but I withstood the heat in all rounds and, next time, I will defeat him,” Mwayipopa said. Times Reporter – who has written 1215 posts on The Times Group.